The baroness Henri de Rothschild (1874-1926) was in almost every respect an unexceptional member the haute juiverie of the Belle Epoque. Although her husband was a doctor, rather than a banker, the couple nevertheless conformed to the traditional Rothschild pursuits of collecting and philanthropy. 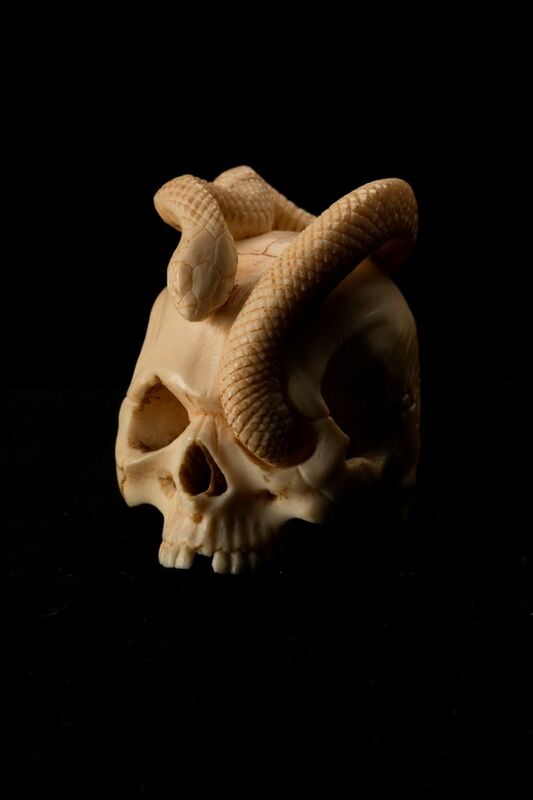 She was, however, highly unusual in the nature of her collection: prints, paintings, statues, objets d'art (here a 19th-century ivory okimono, an object for display) and bibelots – netsuke, rosaries, walking sticks, tie pins, incense burners - all of which related to death, deaths heads, skeletons, corpses, vanities and memento moris. The writers of this catalogue (Même Pas Peur! means something like You don’t scare me!) that accompanied the exhibition of these objects at the Fondation Bemberg, Toulouse, earlier this year, admit that there is no evidence to explain why the baroness chose to collect these items. Nevertheless, for those with a taste for the gout macabre, this is a volume not to be missed.